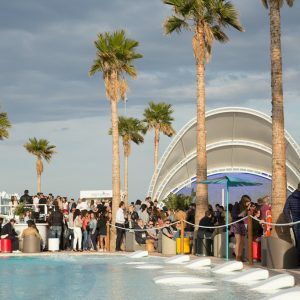 At the moment, Marina Beach Club Valencia is one of the most popular places in Valencia. It is located on Malvarrosa beach and striking by the fantastic design. 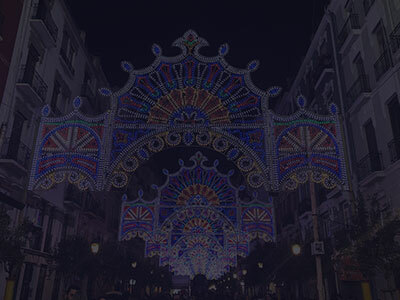 Several Valencian architects have made this possible. 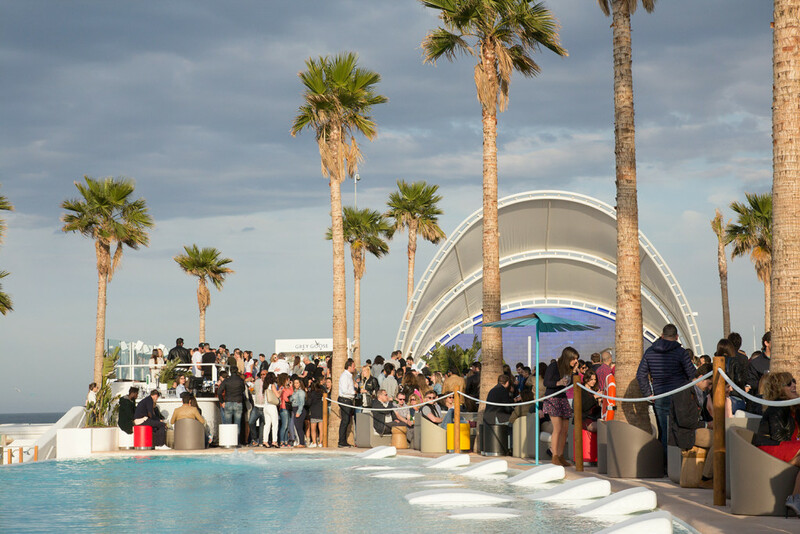 Marina Beach Club Valencia has a lot to offer. 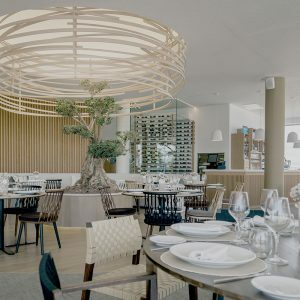 If you want to go out for a drink this is the place but if you want to have a nice fancy dinner, Marina Beach Club Valencia is also the perfect place to go. Read everything about the beach bar here. The first building is the Marina restaurant which is divided into three levels; restaurant, terrace and skybar. 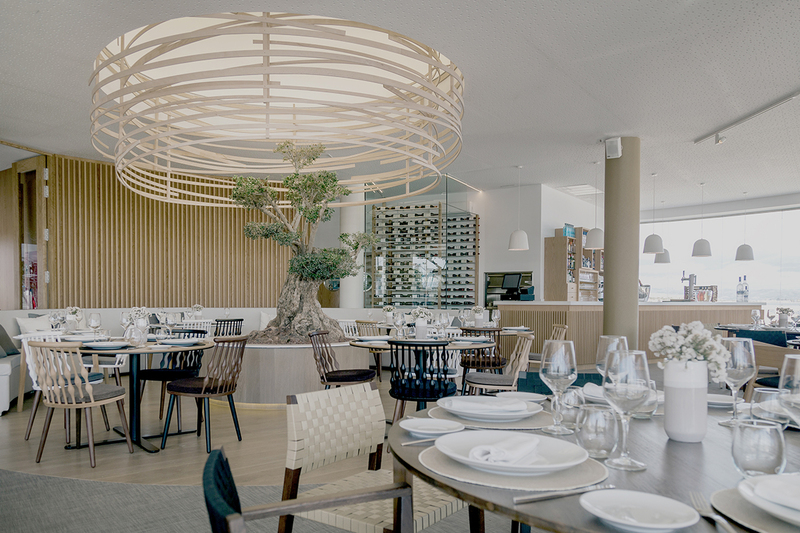 You can enjoy a delicious dinner or lunch and overlook the beautiful beach of Valencia. The restaurant is open all year. Looking for a place where you can order a cocktail without leaving the pool? You’ll have the opportunity to enjoy the pool, lounge and Valencia’s one and only poolbar! When the evening begins, this area of Marina Beach Club Valencia will turn into a great place to spend the night. Various DJ’s will entertain the crowd with the best music. In the meantime you can enjoy your drink(s) and any shisha outdoors. Directly located on Valencia beach is the beach club. From the beginning of spring to the beginning of autumn, you can enjoy a nice paella on the beach or have a nice cold drink. Marina Beach Club is the place to start or end a day off beach!